Stop by The Village Greene at Historic Smithville from 5-7 p.m. to see some spectacular vehicles on display, or show off one of your own! The Car Cruises is a perfect hang-out for all car enthusiasts to see, show, and talk cars. 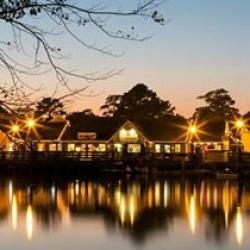 Historic Smithville also offers 60 Shoppes, 7 eateries, carousel ride, train ride, paddleboats, on site lodging at the Colonial Inn and over 26 free weekend events!